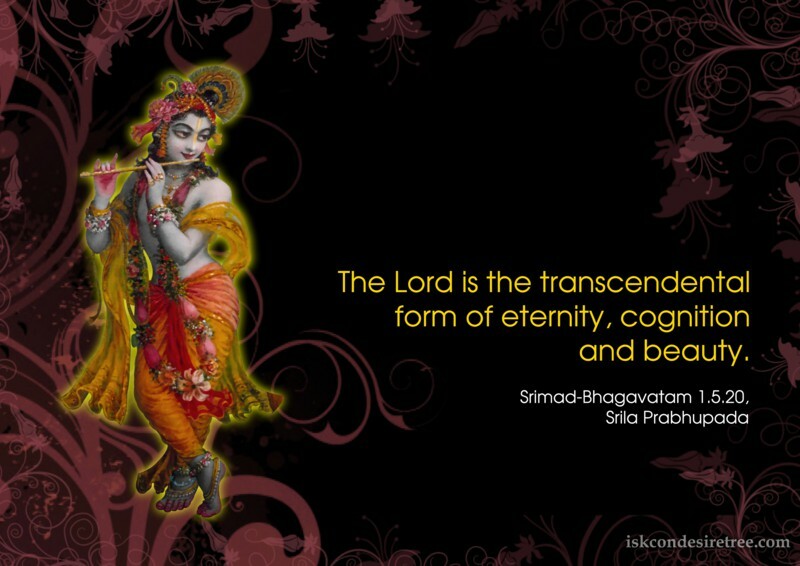 The Lord is the transcendental form of eternity, cognition and beauty. 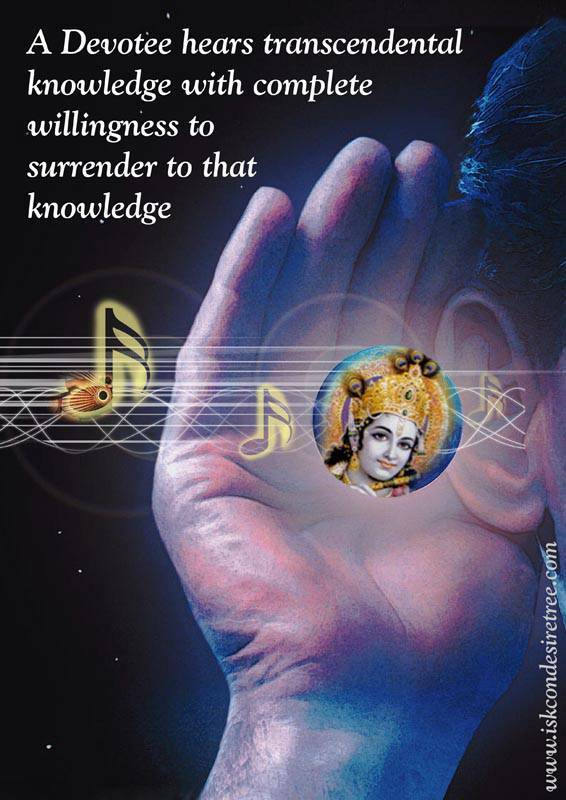 A Devotee hears transcendental knowledge with complete willingness to surrender to that knowledge. Transcendental knowledge is not conveyed or carried by words but by consciousness. Only one who has properly grasped the transcendental knowledge from the right source by submissive hearing can properly explain the subject.